Do you know what is even better than a book set in the heat of the Dominican Republic? That I can read it free on Kindle Unlimited! 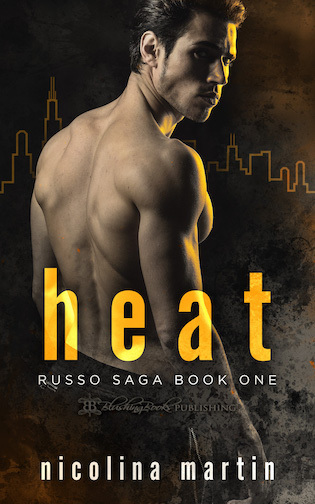 Today, I am introducing you to a hot new book, and the beginning of a new romance series: Heat by Nicolina Martin! This dark romance might not be for the faint of heart, but if you like books with a lot to offer and a taste of the forbidden side, then you should read this newly released novel right now! And don’t forget to enter in the giveaway at the end of this post, for your chance to win 25 Dollar Amazon Gift card! Publisher’s Note: This dark romance is intended for adult readers only and may contain triggers for some readers. It contains elements of danger, adventure, steamy scenes, adult language, and a guaranteed HEA. If any of these offend you, please do not purchase. WARNING: THIS EXCERPT IS EXPLICIT! I don’t move, my heart speeds up. In an instant, I remember where I am. What I have done. I slept on his lap, knowing it was an open invitation to something I still can’t articulate. I fight to control my breathing and try not to stir because I don’t want him to know I’m awake. I want to see where he takes this.